We are very fortunate to have not one, but TWO libraries (soon to be THREE !) within our school, helping children to not only develop their reading skills, but also encourage them in a life-long love of reading for enjoyment. 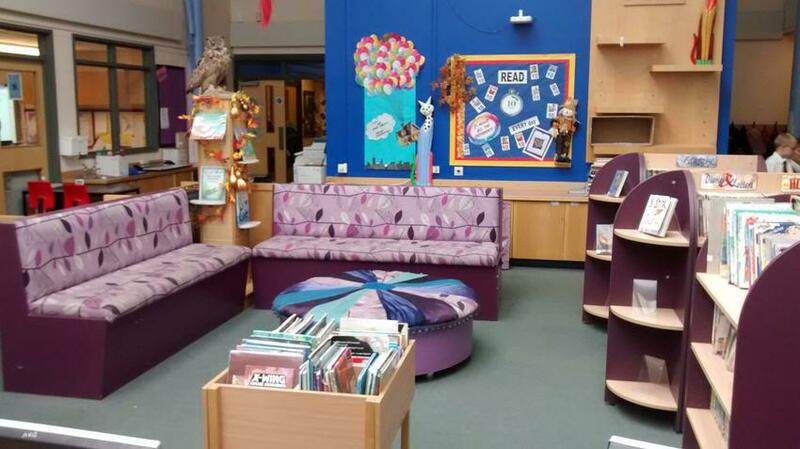 KEY STAGE 2 LIBRARY is situated in the KS2 central area and is the main library where our Librarian, Mrs. Medland is located.All of our KS2 fiction books are sorted into genres, encouraging children to read across a wide spectrum of text, including a comprehensive selection of non-fiction. 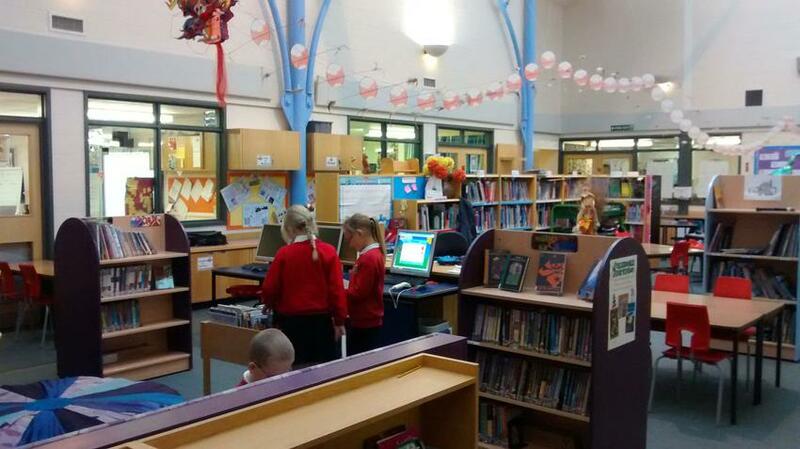 All libraries are bright, spacious, comfortable and well stocked to help motivate and encourage our pupils. They are a great resource which the children love to visit, browse and discover the wide range of up to date books available for them to read, both for pleasure, and as a support for their learning. 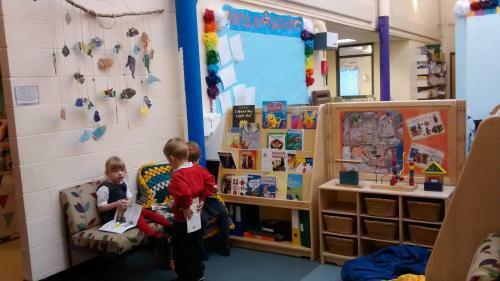 It is open from 9am until 3pm including lunchtimes for all children to come in and change their books or sit quietly and read. We have Junior Librarians who are fantastic at keeping the Libraries and shelves in good order. The library areas are also equipped with up to date technology enabling pupils to develop their research skills to support their learning across the curriculum. Part of this technology is our library borrowing system called Junior Librarian. This enables children to issue and return their own library books independently.